In this slot game, all players turn into anglers themselves and sinnot only catch plenty of fish, but also reap rich profits. Special attention is paid to the fishing boat, which can yield ten, 15, or even 20 free spins – depending on how often it appears on the screen. But as if that was not enough, there is another free-spin bonus. The fisherman appears and fishes as many fish as he can find. These fish are then converted into profits, wherefore each free spin should result in a decent reward. 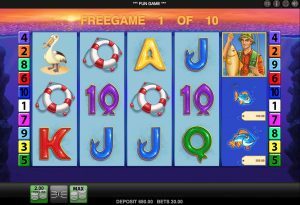 The atmosphere of this fishy Merkur slot is informal, uncomplicated, and the game’s playing style makes this slot all the more fun. This slot game is in no way complicated and does not offer much distraction. Instead, all players can look forward to a catchy gaming principle, colorful symbols, and good odds for a high profit and free spins. The payout ratio leaves nothing to be desired and makes the Fishin ‘Frenzy slot game a great daily pastime. Anyone that is not really into fishing will nevertheless feel entertained. If that’s not enough, there’s a risk game that is part of Fishin ‘Frenzy as well. Whether red or black – it is possible to multiply your profits and fill your own fishing boat with plenty of coins in this way. 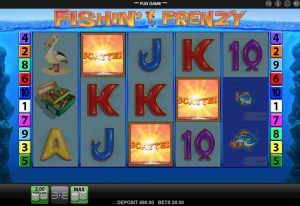 Like most classic Merkur slots, Fishin ‘Frenzy is played on five reels. The odds are distributed across ten paylines. As soon as three identical symbols (from left to right) unite on the reels, players can look forward to a prize. This principle should be well known to all casino fans from the arcade and the one-armed bandits there. Scatter: Free spins are one of the most popular features of every slot, including Fishin ‘Frenzy. 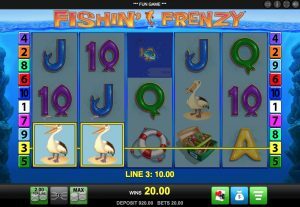 If the fishing boat appears on the reels at least three times, up to 20 free spins will start with the bet last placed. You can reap ten free spins for every three fishing cutters, 15 free spins for every four fishing cutters, and the highest number of free spins is awarded for five fishing boats. Fisherman: As part of the free spins, players have the opportunity to encounter the popular angler. During the free spins, the fisherman catches a lot of small fish and turns them into high profits. These fish also only appear as part of the free spins, wherefore the focus of this Merkur slot game is mainly on the free spins. 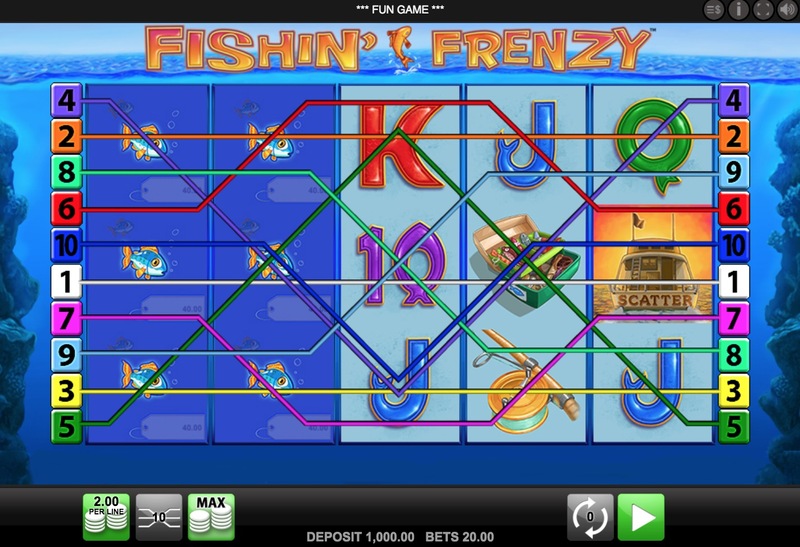 Risk: For an added dose of fun, the Fishin ‘Frenzy slot also offers a risk game. With every win the players bring in, they can either take the coins home or place a bet in a risk game. Next, the players will have to guess whether the next card on the stack will be red or black. 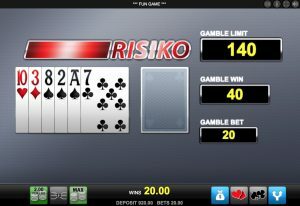 If the player is correct, then his bet is doubled – if he is wrong, he loses his bet and may continue playing the basic slot game. Matching the gaming atmosphere, the symbols of Fishin ‘Frenzy are also reminiscent of the sea. 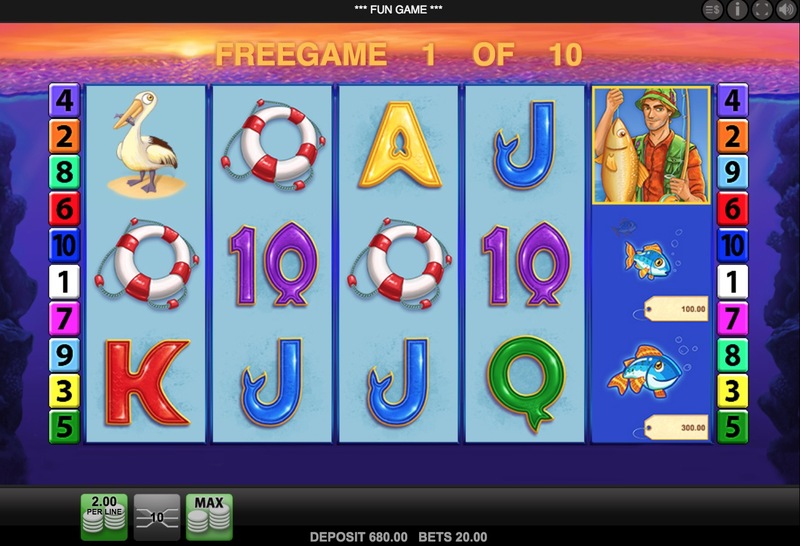 This slot is all about fishing. Seagulls, fishhooks, or the fisherman himself – depending on the player’s winnings on the reels, the prizes are different. The fishing boat, which acts as a scatter symbol in the game, is especially valuable. If it shows up at least three times, then (depending on the number of fishing boats) up to 20 free spins are activated, which can lead to massive profits. This is mainly due to the angler, whom players should keep an eye on during the free spins – this is the only time when the fisherman can be seen at all. He not only catches big fish, but big profits as well. He also catches small fish, which only appear during the free-spin rounds, too, and can be exchanged for lush profits. 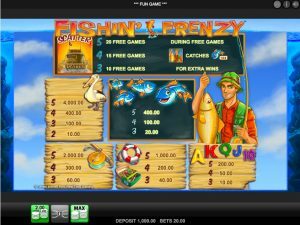 You can start playing the entertaining Merkur slot Fishin ‘Frenzy for as little as one cent per line, wherefore even beginners get their money’s worth. Of course, the winnings are also higher if the bet and the number of paylines are higher. 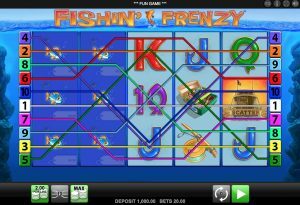 Still, Fishin ‘Frenzy is perfect for exploring the casino world or playing a few simple rounds every now and then. The free spins make Fishin ‘Frenzy all the more attractive, because this is the only time when the angler that catches small fish and converts them into even more coins appears. 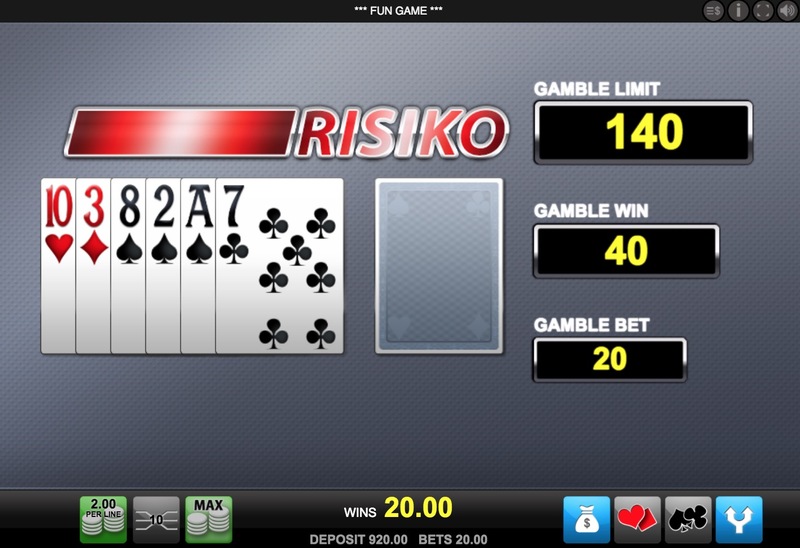 In addition, the slot game offers a risk feature, which allows you to multiply your profits. For example, Fishin ‘Frenzy can be tested for free at Sunmaker Casino.